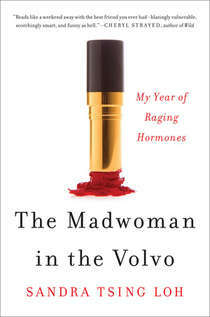 In her new book, “The Madwoman In The Volvo”, Sandra Tsing Loh has written a very relatable, laugh-out-loud story setting the stage for mid-life and Menopause. At 49, writer-performer- comedian Loh reveals her deeply personal journey as she recounts an affair that started at Burning Man and eventually ends her marriage. She writes about navigating the crazy waters of raising teen daughters as her own hormones start to morph, all the while learning how to survive what she calls “her year of raging hormones.” Spinning hormonal, crazy plates comes to mind. There are 48 million women who are members of what Loh calls the “Generation Triple M” group (Middle-Aged Moms in Menopause). It’s the largest demographic group juggling caregiving, work, and relationships while going through “the change.” When it comes to Menopause, there are helpful, yet often tedious, self-help books out there, but Loh’s “The Madwoman In The Volvo” is a balance of personal story, and “crib notes” gleaned from researching the books about Menopause that we can all learn from as we laugh at the craziness of it all. Sandra Tsing Loh says that menopause really isn’t the time of craziness, that we really lose our true selves during fertility – the time of true craziness – only to come back to who we are during and after menopause. One of her big tips is to minimize things you don’t enjoy…you may be surprised to hear what the top 3 things that people around the globe do that are their LEAST favorite things…and you probably do 2 out of 3! Listen, laugh and learn as we talk about the M word. 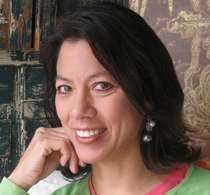 To learn more about Sandra Tsing Loh visit http://members.authorsguild.net/sandratloh/. Sandra is also host of the 60-second science radio segment The Loh Down on Science. To learn more about The Loh Down on Science visit http://www.lohdownonscience.org/.